I saw this awesome post using foam and a rolling pin on Dollar Store Crafts ages ago. I filed it away under things to do. 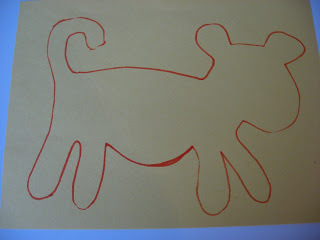 When my son suggested we make a Leopard for “art project time”, it popped back into my head! We had so much fun , and found some great books at the library to go along with the theme! Gather your materials. 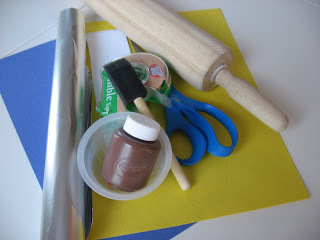 You will need a rolling pin, some sticky back foam, 2 pieces of construction paper, a marker, some brown paint, scissors, glue, black foam or paper, tape and some aluminum foil. Start by drawing an outline of a leopard. I drew a few before getting it right. Set aside. 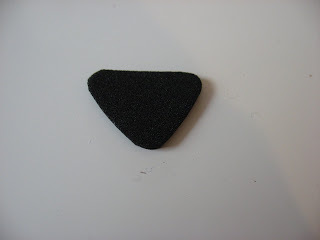 Cut spots out of your sticky back foam. Make them irregular. 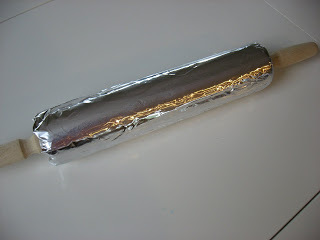 Next cover your rolling pin in aluminum foil. Tape the edge down. 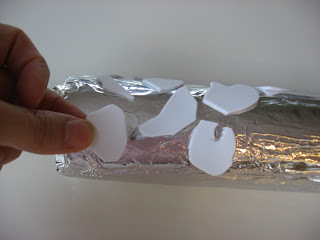 Peel off the backing and stick the foam onto your rolling pin. 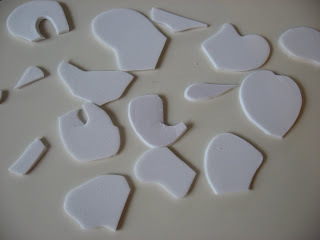 Brush your paint onto the foam pieces. Grab your leopard and roll! Add more paint and roll again. While your wee one is rolling, cut a nose out of black foam or paper. 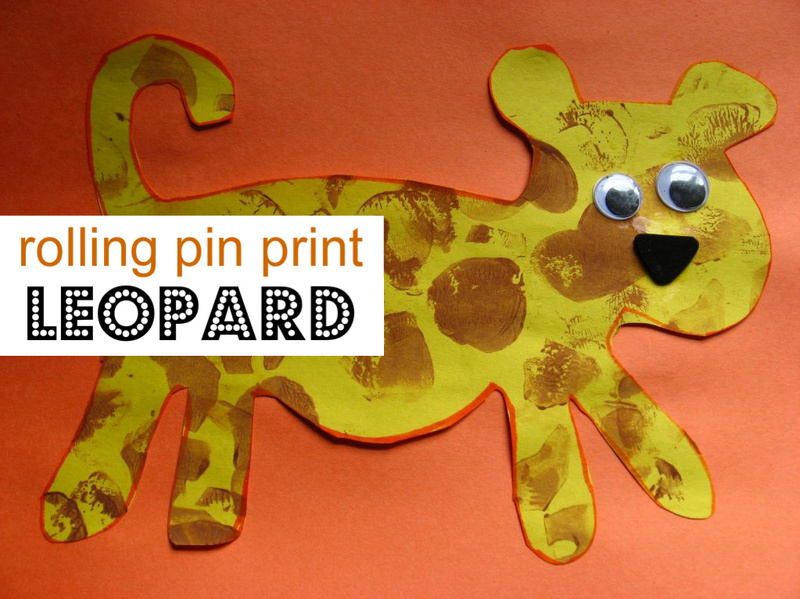 Add glue to the leopard and add the eyes and nose. Glue onto the 2nd piece of paper and let dry. 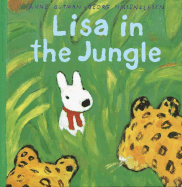 “Lisa in the Jungle”by Anne Gutman made me giggle and my son really liked it to. It’s about Lisa who spent all summer at the pool instead of off on a wild vacation in the jungle. Lisa decides to ignore what she really did all summer and tell a tall tale to her classmates. It’s an endearing story because it’s told exactly the way a young child would tell such an outrageous story. My son loved the parts about stepping on sleeping crocodiles and feeding baby leopards. “Jungle Party” by Brian Wildsmith is a cautionary tale about a python and it’s tricky ways. In this book the jungle animals are tricked by a python into having a party with him, only to end up in his belly! Luckily a wise elephant is there to help and the animals get the last laugh. 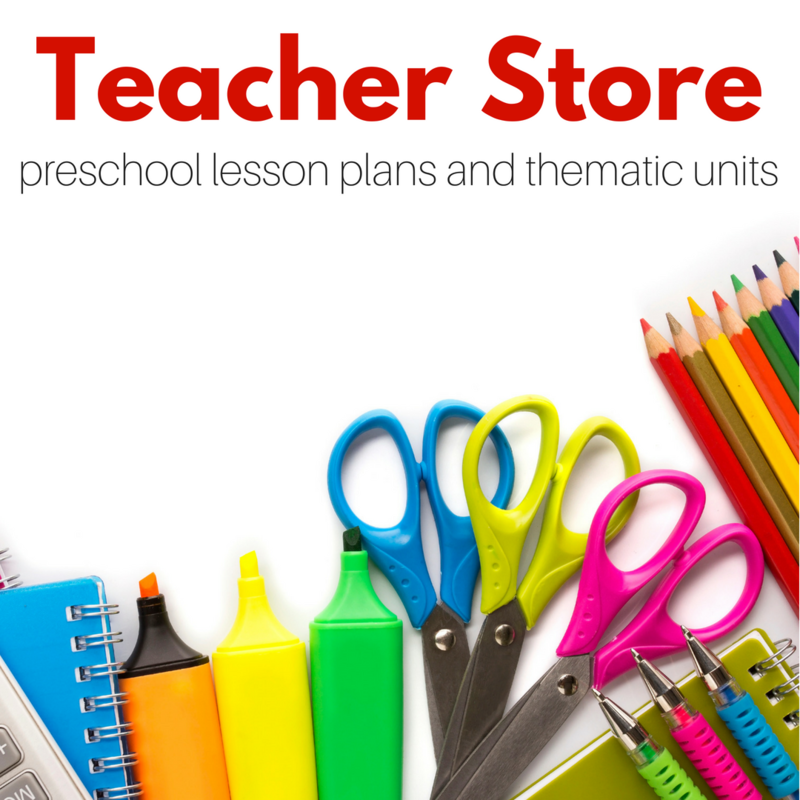 I liked this book although after about half way my wiggly 2 year old started loosing interest. I don’t think it’s the books fault, it’s just a little long for such a young audience. 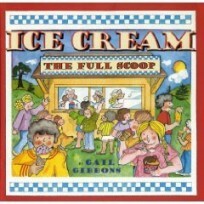 For slightly older kids this is a great book for making predictions about what will happen next. 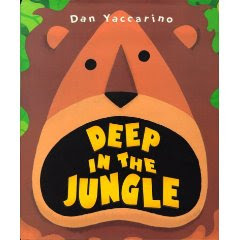 “Deep In The Jungle” by Dan Yaccarino is a deceivingly deep book. While reading it to my son before nap today I was taken aback by how the Lion and the circus man in the book could be symbolic of so many historical and social things. However the surface story is about a Lion , the king of the jungle who is enticed out by a man who promises him a better life of fame in the big city. Soon the lion is in the circus, whipped, caged and with no power or fame. After eating the man and running back to the jungle he finds his subjects in cages as well. Although he was not a kind ruler before he saves his subjects from their captor. Seems all very heavy, but my son loved it. It is long and I was impressed he sat interested for the whole thing, he even said “Animals sad in cages!” proud moment for me! 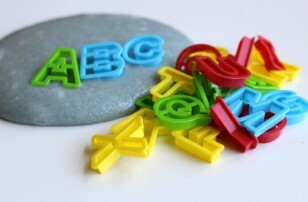 Previous Post: Letter of The Week K ! super cute- I think this would work for cows too, and maybe you could do stripes for a tiger… ohhh the ideas! This is such a great idea…we will be trying this one out sometime soon. Thanks!!! I love your blog! My son is 16 months old, and a little too young for most of these, but one day soon he’ll be ready! But I have a question: how do you store or save all the ideas that you come across? Ideas that you want to try one day, but you’re not sure when? I’m just not sure how to keep track of all these great craft project ideas. That looks like a lot of fun! I don’t know if my kids could handle a project like that maybe in a couple more years. You have a really cool blog here with lots of great tips. Very cool project – one of my girls loves leopards, so we’ll definitely be doing this. Thanks for all of the hard work you put into your blog. I always enjoy the art project and book lists you put together. How fun!! Great job. You always come up with awesome activities. Great technique! My son would love the leapord! 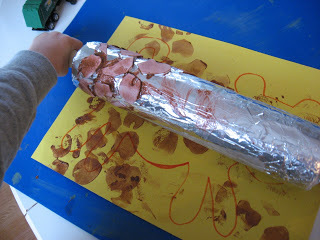 I love the rolling pin idea. 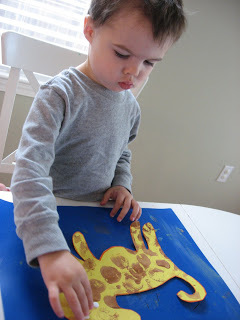 What a great way to work on motor skills. What a neat idea! Thanks. 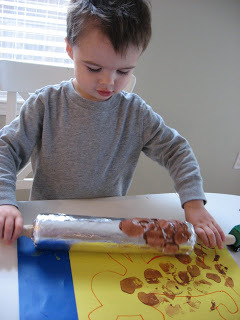 So smart about the rolling pin and so cute! Thank you! 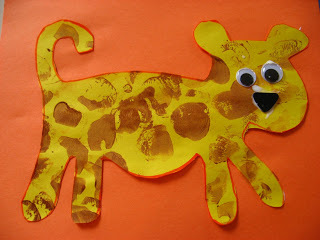 We did this today to make a giraffe with a long black tongue instead of the leopard’s black nose. Our spots didn’t come out as well as yours, but my 2-year-old had a blast doing it. 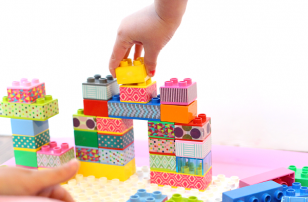 I haven’t commented before, but I love your blog and we’ve done a bunch of your projects. 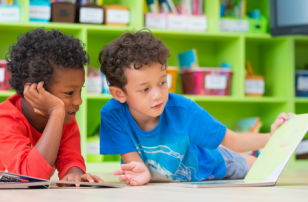 My son always seems to walk by when I’m sneaking a peek and as soon as he sees your pics, he’s running to his little table yelling “Make it Mommy! Me make art!” Thanks! This is going to work great for a giraffe pic. Ds loves them! 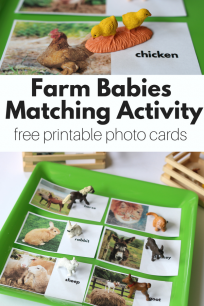 I wish there was a printable version of your crafts – I tend to print them and put them in my craft file box asap otherwise they get forgotten if left on the computer. I also add a few of the things I need in with them so I can grab at a moments notice. Q – what’s the tick box? I tend to untick as unsure what it’d for.